Construction is under way for the cell tower/bell tower. 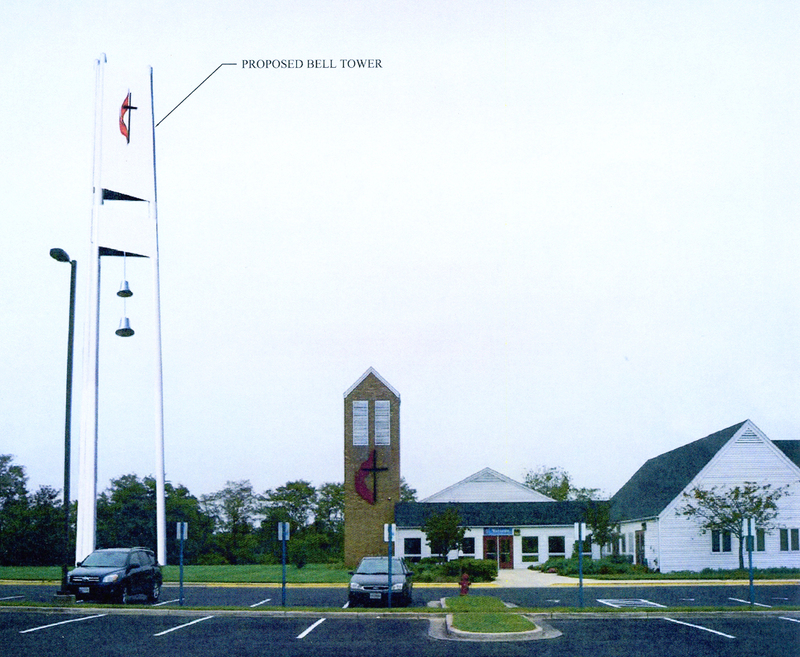 Church services and activities are not expected to be affected by the project. Crews have completed site preparation, the drilling of three caissons, and the pouring of concrete. The rest of the project will be completed between Oct. 1 and Oct. 12. During this time, the tower structure will arrive and a crane will set it in place. Platforms and panels will be assembled. The final steps include electrical installation, site clean-up, and final inspection.